Zinc sulfate supplements are typically used in the treatment of a zinc deficiency; however, there are other reasons to add this supplement to your diet. Zinc is a mineral. It's one of the vital elements necessary for the overall growth and subsequent development of your body. Zinc works to maintain your immune system and has other important duties such as serving as a catalyst for over a hundred enzymes in your body. Without zinc, many of these enzymes would never be activated. Enzymes are important because they promote proper wound healing, DNA synthesis, and many other metabolic functions. There are other uses for zinc sulfate. These include topical ointments, crop fertilizers, industrial cleaners, and other industrial applications. Some foods can prohibit or make zinc absorption very difficult. You should avoid taking zinc supplements with these foods. Any food that has a high phosphorous or calcium concentration shouldn't be eaten at the time you take your supplements. Dried legumes such as beans, lentils, etc. You may subscribe to the belief that zinc and vitamin C are good in fighting the cold virus. Some people claim improved symptoms after using zinc lozenges or nasal sprays. Many cold remedy manufacturers advertise zinc in lozenges and other common cold products that are sold over the counter. Studies conducted on the effectiveness of zinc against a cold are inconclusive. Some studies showed positive results while others showed no change in the subjects' symptoms. There could be many factors responsible for the discrepancy in the findings and further study is required to determine what those may be such as dosage, frequency of dosage and diversity of group participants. A zinc spray or gel remedy is sprayed or applied to the nasal passages. Again, studies have not been able to verify the claims of this kind of zinc remedy as being beneficial. There have been reports of individuals having a loss of smell (anosmia) as a direct result of using a zinc spray or gel and the loss is usually permanent. Most people don't feel the risk is worth taking. There are many benefits in taking supplements with zinc sulfate. Some of the benefits claimed have been difficult to validate and document. Zinc sulfate was once considered the optimum treatment for acne. You'll find zinc sulfate as one of the key ingredients in many skin ointments, especially those used in relationship to topical skin treatments for eczema, acne and wound healing. Many people assert there's a noticeable increase in hair growth after taking zinc. This differs from person to person and complete hair restoration hasn't been documented or validated. Zinc is interconnected with your immune system functions. If you're suffering from a compromised immune system, zinc supplements will support and possibly help restore some of your immune system. One of the telltale signs of a zinc deficiency is white spots or bands along your fingernails. If such symptoms reveal a zinc deficiency, then a supplement will help your fingernails to heal and return to normal. The chemical reactions between drugs and zinc are varied. You need to become informed about those risks before taking any zinc supplements. There are certain antibiotics that are destroyed or neutralized by zinc, so you should check with your pharmacist if you're taking any antibiotics. The chemical reactions between zinc sulfate and certain allergy medications or allergies in general are complex, so once more you need to discuss these and possible reactions and interactions zinc and medications might have as well as allergy symptoms with a pharmacist or doctor. Pregnancy and illnesses may also be adversely affected by taking certain supplements. There is no definitive data from studies conducted on possible harmful effects on a human fetus when a pregnant woman takes zinc sulfate supplements. There has been no conclusion determined whether or not the supplement can be passed on to your newborn through breast milk. Those who suffer from diabetes also have lower levels of zinc. 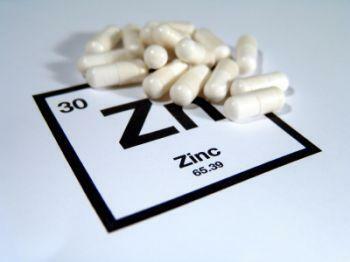 However, the wrong supplement of zinc can do more harm than good. If you have Type 1 Diabetes, you should avoid taking a zinc supplement because it may interfere with your blood sugar. However, many Type 2 Diabetics seem to benefit from adding supplements of zinc sulfate. It's easy to overdose on zinc and quickly develop toxicity. The RDA for zinc is 15 mg. Not all cases of zinc toxicity come from overdoses. Several cases of zinc toxicity occurred when people drank beverages or ate foods packaged in galvanized cans or packaging. Harmful amounts of zinc leached into the liquids and foods from the galvanized containers. Toxicity levels of zinc can range from mild intestinal discomfort with as few as 50 mg per day while severe toxicity can occur with just a single dose of 225 mg of zinc. If you suffer from a zinc deficiency, then any treatment you receive in supplements needs to be closely monitored since too much zinc can create a copper deficiency. Anytime you add zinc sulfate supplements to your diet either in food or pill form, you need to consult with your health care practitioner first.